Surely a More Expensive Lounge is Better Quality isn’t it? What a big question! As with everything….it depends. I think it is important to compare apples with apples. There is no use comparing a 100% leather lounge with a leather/Poly Urethane (PU) combination. Both are aimed at a separate market. Generally the Leather PU blend is aimed at a shopper who is trying to reduce their spend. 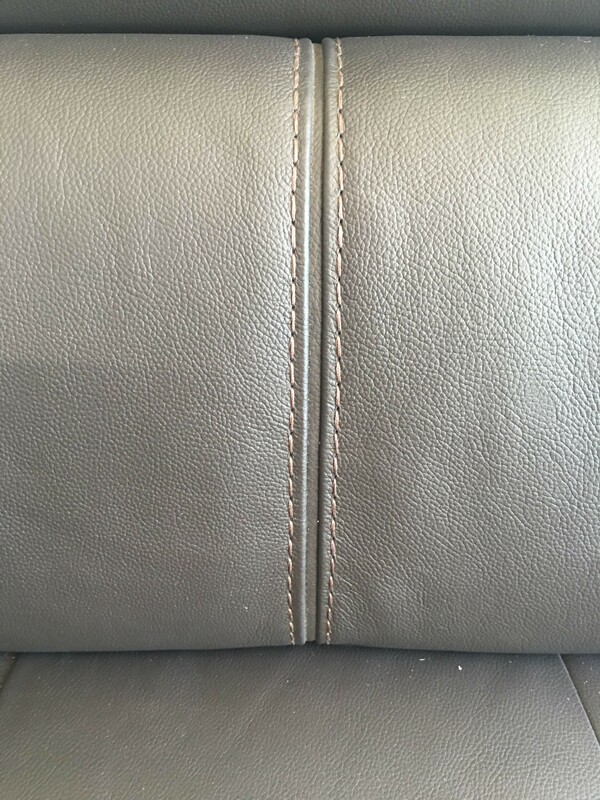 In our business a leather/PU combination is about 30% cheaper than 100% top hide leather.The manufacturer will usually upholster the lounge in leather in the areas where you are sitting and PU around the back and sides. Does it matter? Does this make the quality of the lounge poorer than the 100% leather lounge? Well, the short answer, in my opinion, is yes. 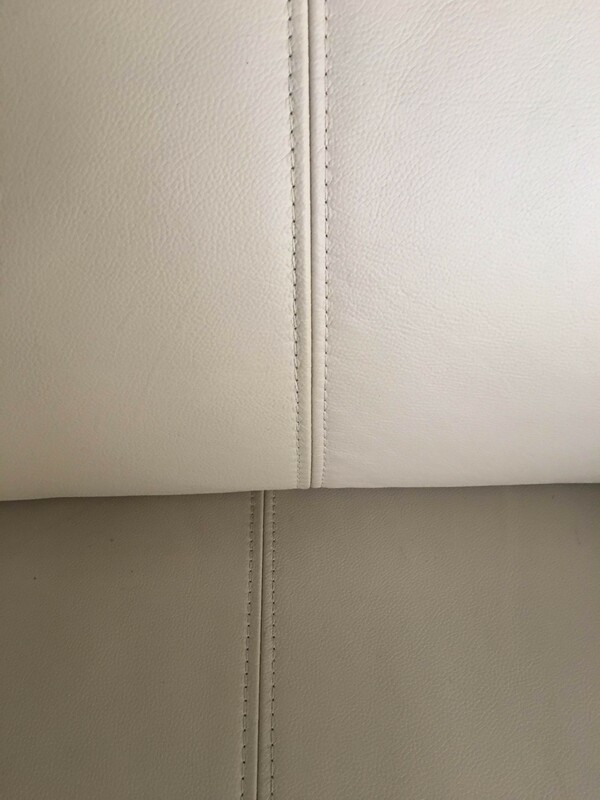 Generally PU is not as good quality as good quality leather. So, moving on from the discussion regarding comparing apples with apples, is one 100% leather lounge better than another that costs a substantial amount more? Well they can. It really comes down to the quality of the leather, the materials and substance of the frame, the quality of the foam or springs they use and quite often the attention to detail in the stitching and finish. This is where I believe the real difference in the quality is. The finish of the product. If you walk into a showroom where the store is trying to sell a leather lounge (say as 3 seater with recliners and 2 x separate recliners) for $7,000+, the quality of finish had better be FAR SUPERIOR to what you can buy elsewhere. In my experience, frames will be made out of different types of timber, but the internal structure of one lounge that is thousands of dollars more expensive than the other is not necessarily better than a less expensive one. Generally frames are covered by a reasonable warranty period so customers have recourse against the retailer/manufacturer. Most frames, if they have a construction issue will break along a knot in the wood. Rarely will the frames joins be an issue, unless the construction is really shoddy. Again, if there is a reasonable warranty period there should be recourse for repair. Is there a Difference between Leather or Imitation Leather? There is different qualities of leather. Most retailers have different names for their leather, so one retailer who calls his leather aniline, could be another’s top hide. How to tell the difference? It is pretty easy between split leather/bi cast leather/bonded leather/PU leather and Real Leather. Real leather will have a natural grain, be soft to the touch and extremely strong if you try to tear it, “PU Leather” IS NOT leather – it is man made and is very easy to tell the difference. There is a nylon scree on the back that helps give it strength. Bonded leather is like particle board, minced leather scraps bonded together with a nylon scree between the “leather” and the PU coating. It is very susceptible to peeling over time from what our customers tell us and is firmer to the touch – not a soft as real leather. 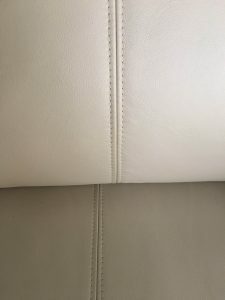 Split leather is fine around the back and sides of the suite – it reduces the price as long as it is not used for the main areas where you come into contact with the lounge. Bi-cast leather is split leather with a thick PU coating – again susceptible to peeling. Now you know the basic differences between the different leathers offered by retailers make sure you make your purchase decision comparing similar frames, components and similar qualities of leather. Don’t be fooled into comparing real leather with bonded leather and thinking the price difference reflects the difference in quality. All other materials in lounge manufacture are also subject to differences. Good quality lounges that are expensive and made well could use better grade (width) springs. Use metal clips to attach the springs rather than plastic ones. The quality of the foam could be similar to Dunlop Enduro Foam, renowned for it s quality, and supported by a good warranty. The seat cushion could also have pocket springs, which historically have been known for good support and quality. The frames could be constructed using 100% hardwood and tongue and groove joins. They could be screwed rather than stapled. The Measurements that are quoted for your new lounge are the exact ones received. The stitching is perfect with all seams lining up perfectly and maybe the use of top stitching or a french stitch as a feature. The leather would be a superior grade semi aniline soft leather, or if a fabric, a high grade commercial or domestic fabric, treated for dust mite protection, fire retardant and stain resistance. All these factors add up to a good quality lounge. It is then up to the retailer what price they sell it for, and up to the purchaser to decide if it is good value. In regards to good value, a customer may be happy paying around $4,000 for a real leather lounge. Their expectation may be that it lasts up to 5 – 7 years and then they replace it with a different style. Another customers expectations could be that they expect their new lounge to last for 30 years. In many other countries customers will turn their sofas over every couple of years to ensure they stay on trend. The idea of buying a $10,000 sofa would seem ridiculous to them. As with everything we have to manage our expectations. If you pay $2,000 for a leather/PU combination lounge, don’t expect it to last as well as a $5,000 100% real leather lounge. Is the difference between a $5,000 and a $7,000+ so much it is worth the extra investment? Is the brand name sofa you buy worth the added expense? If you follow these guidelines and ask searching questions of the sales person you can then make an informed decision regarding the extra cost. PreviousPrevious post:Are Australian Made lounges better than imported lounges?NextNext post:Is All Leather the Same?